Thank you for making this a special Heidelberg Cup! Our judges this weekend are Fran Dearing-Kerr, Cesar Torrente and Brian MacMahon. We will be using Ring 1, 2 and 3 for competition and Ring 4 and 5 for warm-up. Heidelberg Cup, chocolate cake! Please join the celebration! 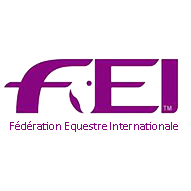 The Pixel Fund, an animal rescue charity, Musical Freestyle Award, which is open to all competitors riding a Freestyle. The Sportmanship Award, which is by vote. Vote for the person, who represents the best sportsmanship at the show this weekend. Ballots will be in the office. Last but not least, the Klaus Fraessdorf Award. 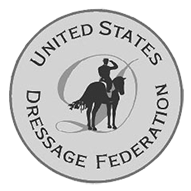 This award is in honor of Orlando Dressage’s founding father. It is open to all and is the combination of 2nd Level Test 3 and any 3rd Level test. 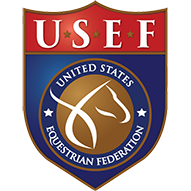 Orlando Dressage continues to strive to improve our shows, and in the process to give back to our community. Our Virtual Ribbon Program has been a great success! Many of you choose to select a virtual ribbon instead of a regular ribbon and place the virtual ribbon in our “Give Back to Our Community” jar. Each virtual ribbon is worth $2 then donated to a local charity. I am very happy to say that together over the last years, we have donated $1000’s for local charities. We will continue to offer virtual ribbons. The charity for the Heidelberg Cup is The Pixel Fund. The Pixel Fund will have some of their furry friends visiting us on Saturday between 11-2. All of these precious pups will be available for adoption.